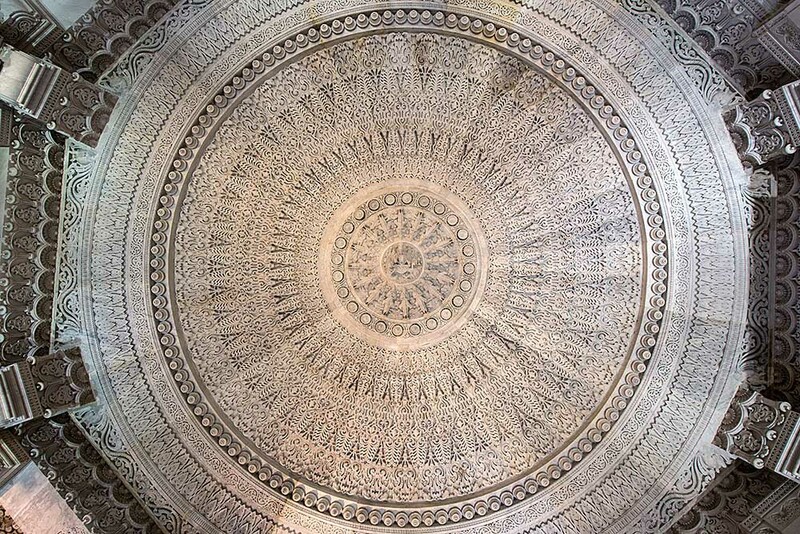 The interior of the mandir has nine ornately carved domes resting on beautifully carved pillars. Each set of dome and supporting pillars forms a mandapam. 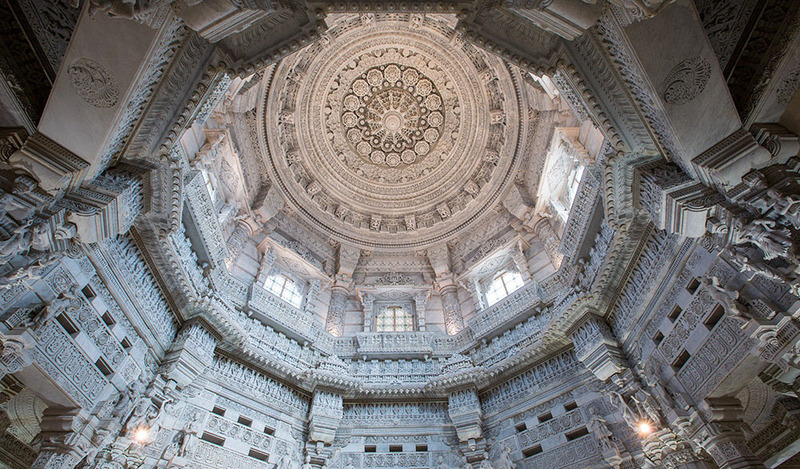 Each mandapam features the unique forms of Bhagwan Swaminarayan, different avatars and other Hindu deities. The central sanctum or garbhagruh of the mandir forms the Swaminarayan Mandapam. Akshardham is God’s eternal abode, a unique place of unimaginable brilliance, serenity and beauty. The Swaminarayan Mandapam is a human effort to bring a piece of that divinity to this world and gift it back to God as his earthly home. The 72 ft high Paramhansa Mandapam is capped by a grand, ornately carved dome that has the murtis of the paramhansas of Bhagwan Swaminarayan. These paramhansas were initiated into monkhood by Bhagwan Swaminarayan and instructed by him in yoga, scriptures and austerities. The four-sided and eight-sided pillars are called ‘Swastik Sthambhs’ in the ancient shilpa shastras. Pillars in the Paramhansa Mandapam feature murtis of the 24 different forms of Lord Keshav. The Keshav forms have special names with respect to the divine objects they carry, in accordance with the ancient Panchratra Shastra. The establishment of God’s twenty-four Keshav forms and four Chaturvyuh forms is a unique revival of an ancient tradition. 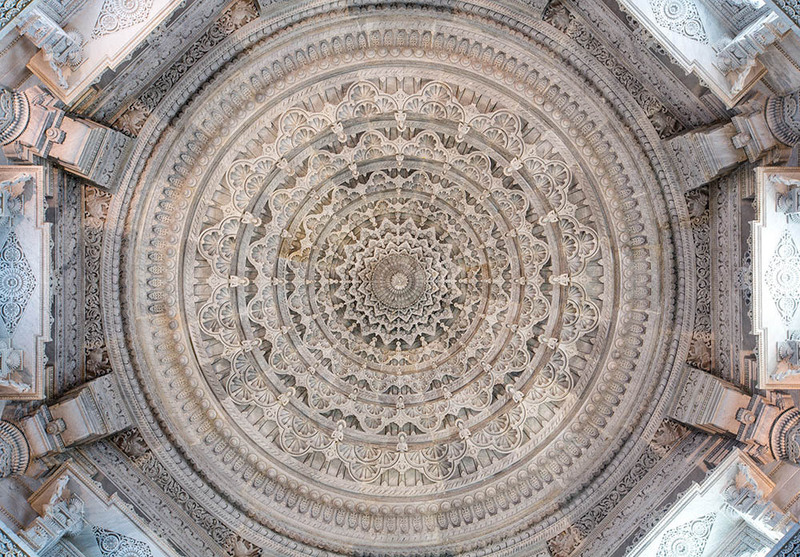 The Ghanshyam Mandapam, resting on eight pillars, has a 38 ft wide saucer-shaped dome, 32 ft from the ground - a unique architectural feat. 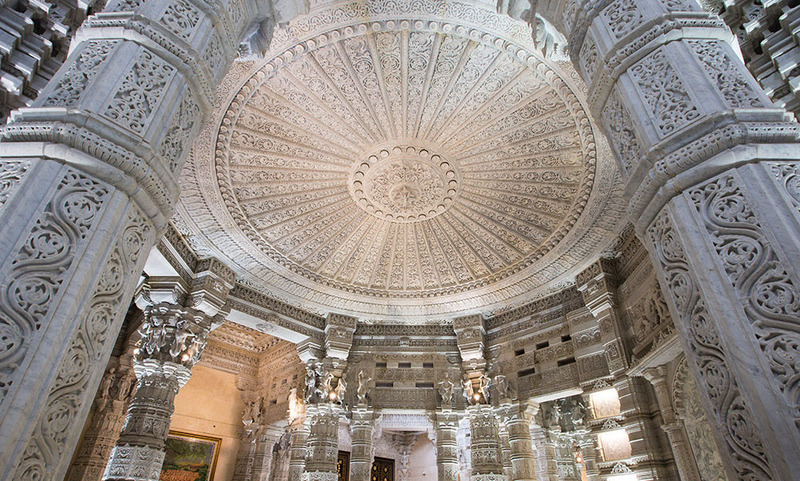 This dome is one of four such domes in the mandir. 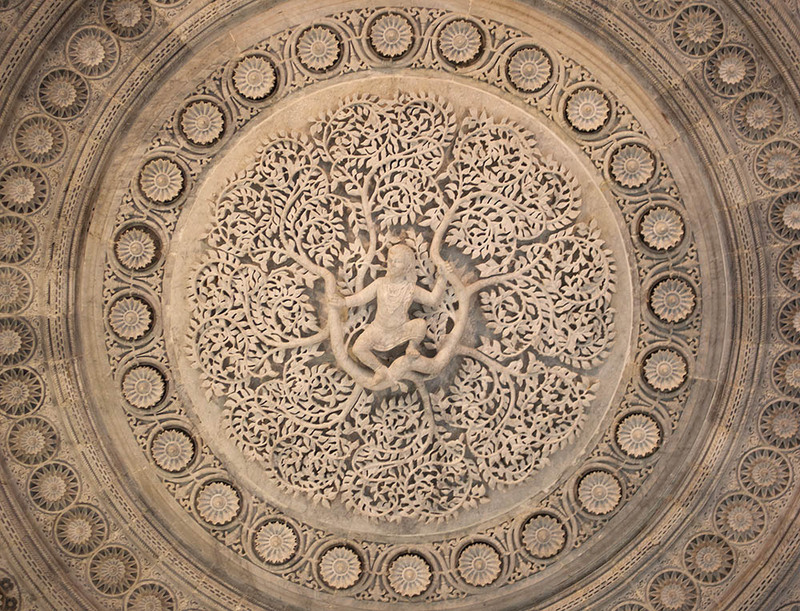 The ornate ceiling of Ghanshyam Mandapam features the delicate murti of Ghanshyam, the child-form of Bhagwan Swaminarayan. Pillars of this mandapam have beautiful carvings depicting the childhood incidents of Bhagwan Swaminarayan. The Lila Mandapam is 72 ft high and has a richly sculpted dome. On its four-faced pillars are carvings portraying stories from the life of Bhagwan Swaminarayan as a child, a youth and as the leader of the Swaminarayan faith. At the tender age of eleven, Bhagwan Swaminarayan renounced his home and became known as Neelkanth Varni, performing intense austerities during his seven-year pilgrimage of India on foot. The fascinating stories of Neelkanth have been carved in stone on the eight-sided pillars and saucer-shaped dome that is 32 ft high. At the dome center, lies the enchanting murti of Neelkanth Varni performing austerities at Muktinath, an ancient pilgrim place in Nepal. As reminders of Bhagwan Swaminarayan’s time on this Earth, the rearmost alcove of the Akshardham mandir is home to the 'Smruti Mandapam' in which the holy relics of Bhagwan Swaminarayan are preserved for darshan. His footprints, hair, mala, clothes and other relics remind us of his incarnation on this planet just a little more than 200 years ago. On all sides of the mandapam, paramhansas and devotees rejoice in God’s presence on Earth. 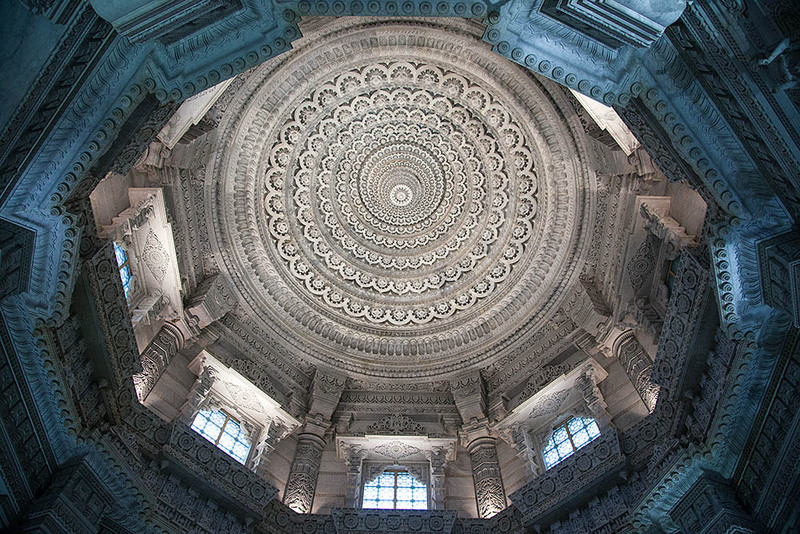 Resting on eight-sided pillars is a 32-ft high saucer-shaped dome, at whose center lies a beautiful stone murti of Bhagwan Swaminarayan seated beneath a sprawling neem tree. The mandapam gets its name from the name, Sahajanand Swami, given to Bhagwan Swaminarayan when he was initiated as an ascetic. Soon after, at age 21, Sahajanand Swami gave his followers the ‘Swaminarayan’ mantra and founded the Swaminarayan fellowship, beginning his divine mission of spreading ekantik dharma. Soon he came to be popularly known as Bhagwan Swaminarayan. In Bhagwan Swaminarayan’s lifetime, approximately two million people in western India counted themselves as his bhaktas or devotees. Through his divine influence, he elevated countless people from the bonds of ignorance to the exalted spiritual state of God-realization. Liberated souls or muktas eternally experience his bliss in the divine abode, Akshardham. Representing these elevated souls are 148 statues of some of his ardent followers. 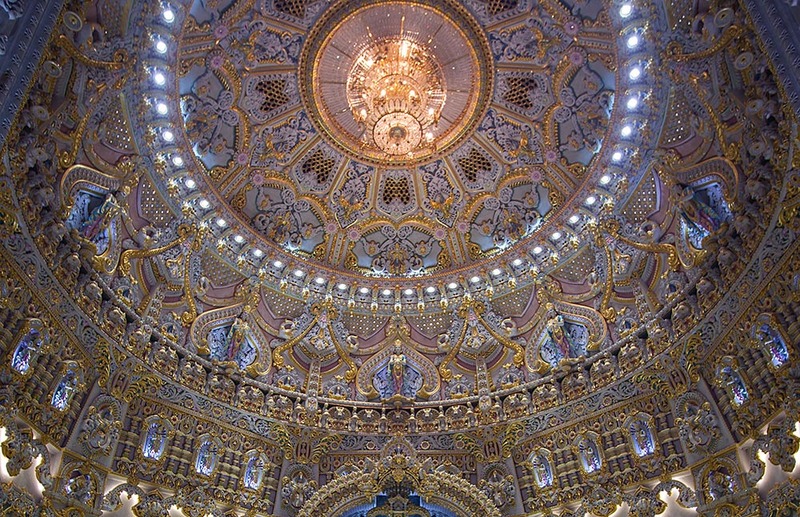 Every layer of this dome has sculptures representing muktas residing in Akshardham. 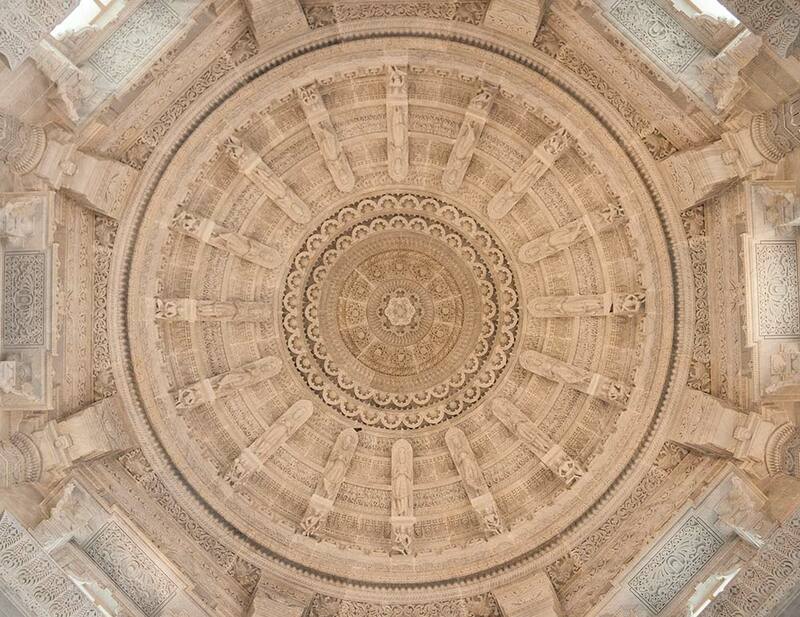 In the center of the dome of the Purushottam Mandapam, one finds the beautiful marble murti of 'Purushottam' Bhagwan Swaminarayan with his ideal devotee 'Akshar', Gunatitanand Swami. Numerous liberated souls surround Akshar and Purushottam as divinity radiates in every direction from their assembly. 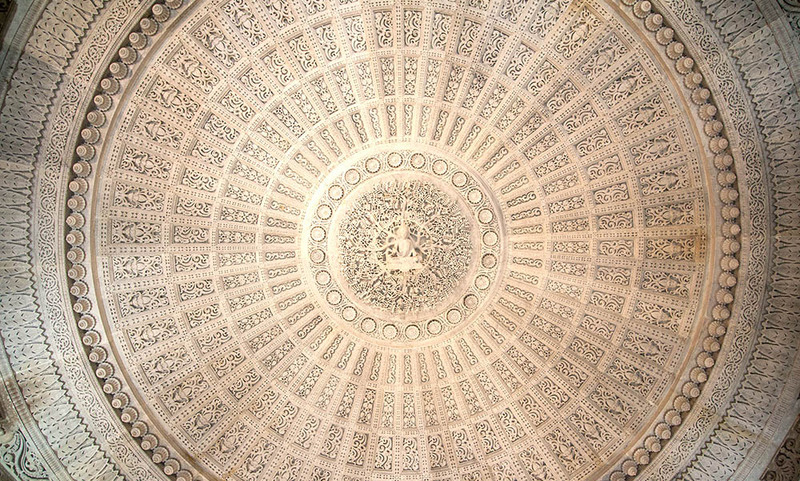 Every layer of this dome has sculptures representing muktas residing in Akshardham. Tickets: Free and open to all..
Time to See: 10 to 20 minutes including darshan in Garbhagruh.